Present state: Demolished but small sections of platform edge remain. 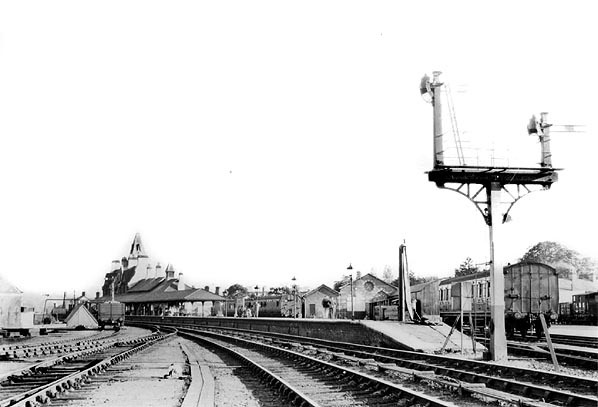 which became known as Foryd Junction, to Foryd Pier was opened in August 1864.
entirety on the 6th October 1864. By this date services were being operated by the LNWR who assumed operational control of the both the Vale of Clywd and the Corwen line on 15th July 1867. On 12th October 1869 another route was opened from Mold. This line connected to the Vale of Clwyd Line about 1 mile north of Denbigh Station. 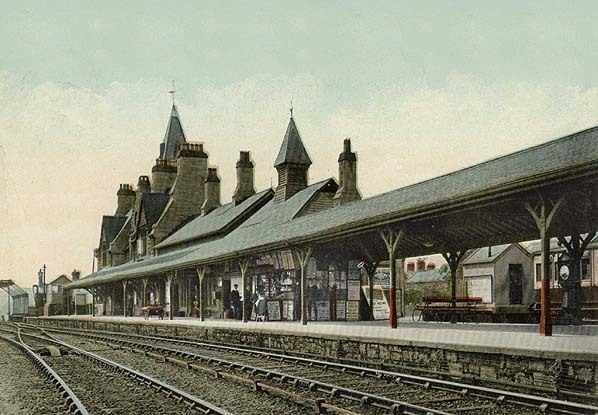 This completed the railway layout at Denbigh which now became an important junction station. services continued through to Ruthin and a few services ran from Rhyl to Corwen. 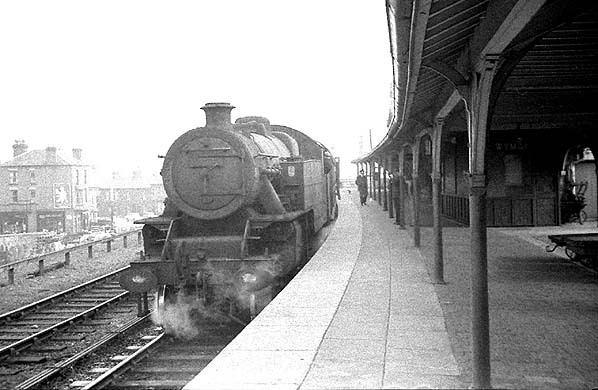 Services remained much the same throughout after the lines became part of the LMS in 1923. 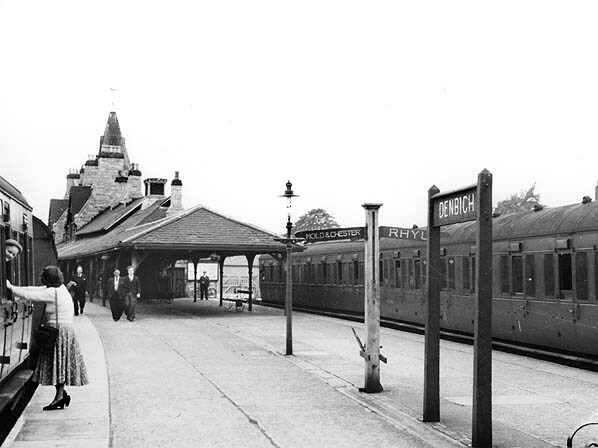 Denbigh was provided with extensive goods facilities at its northern end and it even had its own locomotive sheds. 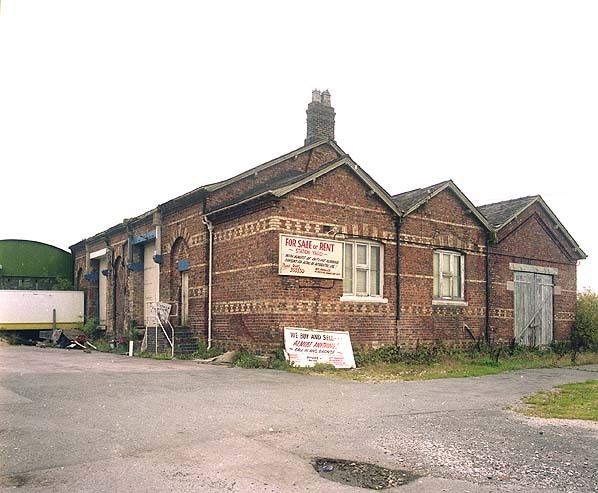 The first shed opened on west side of station in 1864 by the Vale of Clwyd Railway, worked by LNWR and closed in 1870. It was replaced by a two road building sited north of the station; re-roofed in LMS 'louvre' style 1947/8 and closed 19th September 1955. 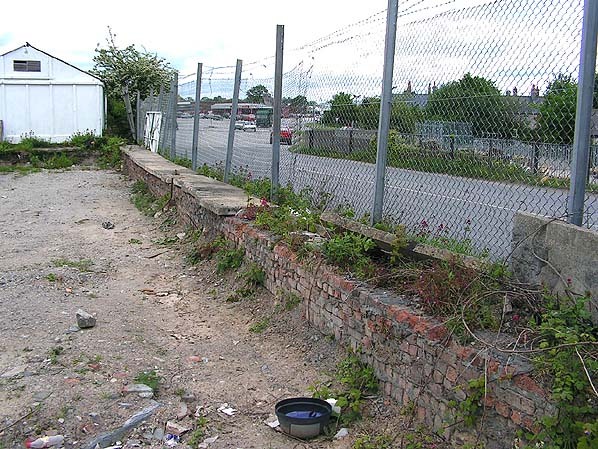 It is still extant and in use as a plant-hire depot. the all stations Chester General to Ruthin service which usually consisted of only two coaches and by this date even some of these services only went as far as Denbigh. bi-directional lines. One being the route to Mold and the other to Rhyl. Goods traffic at this time was still buoyant with services still running to Corwen, Chester and Rhyl. but sections of edge platform can still be seen and the bridge abutments show that a railway was once present here.